Physics comprises the study of the universe from the largest galaxies to the smallest subatomic particles. Physics is an exciting and intellectual adventure that expands the frontiers of our knowledge of nature. For a few fortunate individuals being good at physics comes naturally. However, for the rest, it requires plenty of hard work. Luckily, with constant practice and learning fundamental foundational skills, anyone can master Physics. While studying Physics concepts like zener diode can get tricky, there are a few tips that can make studying the subject a lot easier. The best way to learn physics is by approaching it in the right way. Keeping this in mind, we have listed a few points that can make learning physics fun and enjoyable. It is better not to come across a topic for the very first time in the class. Instead, read the upcoming topic the day before it is covered in class. While you do that, try grasping the fundamentals of the topic in the textbook. Try not to fixate on the precise mathematics of the topic. This will help build a solid foundation of knowledge upon which you can apply the mathematical skills that will be taught in class the next day. During the class, the teacher will give a detailed explanation of the topic that you encountered in your pre-reading. During the lecture, clarify all the doubts you encountered during your pre-reading. Take notes and ask plenty of questions. When your teacher gets to the mathematics of the topic, have a general idea of what’s happening. Having such an awareness of a topic is a huge asset. Physics is a subject rich in laws, equations, and formulae. One shouldn’t blindly memorize these laws and equations. Memorisation is a low form of learning. The best students in physics do not merely memorize the laws and equations, rather, they understand them. When presented with a law or formula, make sure you can work through its derivation. Once you understand the laws and formulas at this level, memorization comes easily. As soon as you get home, take a few minutes to review your notes to polish your physics knowledge and finish off the task of studying. By doing this, you will retain the knowledge gained from the day’s class. The longer you delay to review your notes, the more “foreign” the concepts will seem. Hence, be proactive and cement your physics knowledge by reviewing your notes daily. 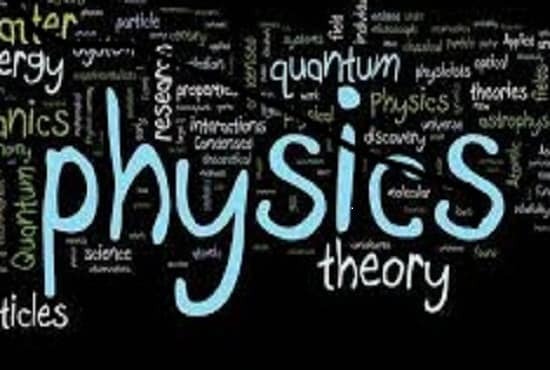 These are a few tips that will help you study Physics in a better and efficient way. Above all, Keep trying! Everyone learns at different speeds and in different ways. There are lots of engaging and interesting content on Physics at BYJU’S that can make you curious. You can subscribe to BYJU’S YouTube channel to learn about the different concepts in Physics like kinetic energy, potential energy and many more. You can also have a glimpse of how BYJU’S app is changing the way students learn.